Was David just a “little guy” when he fought Goliath? Tim Chaffey, AiG–US, examines what the Bible actually teaches about the stature of David. In the VeggieTales retelling of David and Goliath, "Dave" sings a song about how little guys can do big things too. Undoubtedly, little guys can do big things, but this article is about David. Was he really a little guy when he fought Goliath as is commonly believed? If we based our answer to this question on popular culture, Sunday school curricula, and children's songs, we would conclude that David was a little boy or small young man when he fought against a giant. Is this how the Bible describes David? Once again, please remember the purpose of this series on misconceptions is to provide a closer look at the text so that we are not guilty of misrepresenting the Word of God by repeating popular versions of the actual events. 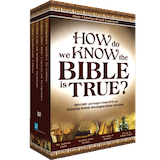 The Bible provides detailed biographical information about David. Although he is first mentioned in the book of Ruth as the son of Jesse, we find our first description of him in 1 Samuel 16 where he is anointed by Samuel to be the next king of Israel. David was the youngest of eight brothers, and his appearance was "ruddy, with bright eyes, and good-looking" ( 1 Samuel 16:12 ). Prior to seeing David, Samuel was impressed by the physical stature of David's brother Eliab and thought that he was the one God would choose. However, the Lord told Samuel, "Do not look at his appearance or at his physical stature, because I have refused him. For the Lord does not see as man sees; for man looks at the outward appearance, but the Lord looks at the heart" ( 1 Samuel 16:7 ). Perhaps this passage is where some people get the notion that David was small. He was the youngest, and his oldest and quite impressive brother was rejected. Since Samuel was told not to look at the outside, maybe David was small, but the text does not reveal this. In fact, there are several clues that David, although young, may have actually been a rather large man by the time he fought Goliath. Sometime after David was anointed, King Saul was being troubled by a "distressing spirit" ( 1 Samuel 16:14 ). The king was advised to call for a skilled harpist to play for him, because the music might bring him relief. One of Saul's servants suggested David because he was "skillful in playing, a mighty man of valor, a man of war, prudent in speech, and a handsome person; and the Lord is with him" ( 1 Samuel 16:18 , emphasis added). David played for Saul and was successful in comforting the king. As a result, the king made David his armor bearer ( 1 Samuel 16:21 ). He was an armor bearer for the king who helped his father on an irregular basis. Many people believe David was still serving as a shepherd for his father when he fought Goliath. This belief is likely based on 1 Samuel 17:17 where Jesse tells his son to take food to his brothers who were camped out for battle. However, since David was already Saul's armor bearer, then he probably lived with (or near) Saul in Gibeah ( 1 Samuel 15:34 ). 1 Samuel 17:15 reveals that David occasionally returned from Saul to feed his father's sheep in Bethlehem.1 So David was not a full-time shepherd who was just on a special visit to Israel's army. He was an armor bearer for the king who helped his father on an irregular basis. One may object to this timing by pointing out that after David killed Goliath, he was brought before the king, and Saul asked David, "Whose son are you, young man?" ( 1 Samuel 17:58 ). On the surface, this seems to show that Saul was not acquainted with David yet, but if that is true, it seems to contradict 1 Samuel 16:21 and 17:15 , which tells us David and Saul knew each other well. Perhaps Saul had forgotten who David's father was. While these passages are only a chapter apart in Scripture, several months or years may have passed between David becoming the armor bearer and his battle with Goliath. There are two alternative reasons Saul may have asked this question. It seems Saul gave David a public ceremony (or at least an audience with the king) in which he could bring honor to his family. After all, David was now a celebrity, and it seems fitting that Saul would acknowledge his heroic actions before the people. The fact that David was brought before Saul by Abner, the military commander, and that David came carrying the head of Goliath supports this interpretation ( 1 Samuel 17:57 ). Perhaps a better solution is that Saul had already promised he would give his daughter in marriage to the man who killed Goliath. Also, the father of the champion would be exempt from paying taxes in Israel ( 1 Samuel 17:25 ). David's lineage had to be known by the king so that he could follow through on these two promises. It is difficult to imagine a person so large. Most people look small next to me since I am 6'9" (and have often been called a giant), but Goliath was a full three feet taller than me and much stronger! His coat of mail weighed 125 pounds, and just the tip of his spear was 15 pounds. Wearing this armor and wielding such a weapon in battle would require tremendous strength. Some have tried to reduce or downplay these staggering figures,3 but there are problems with these claims. For example, Hays and Billington presuppose that David was about 5'3" and the latter argues that Goliath was measured by David's shorter-than-standard cubit, thus reducing Goliath's height significantly. However, it is highly improbable that David was this height at this point in his life given the following details. First, since David came from the same parents (or at least the same father) that produced his physically impressive brother Eliab, David may very well have grown to a similar size. Second, David was so offended by the Philistine's words against the living God that he volunteered to fight the giant. Saul's reaction to David's offer is telling. Notice that he did not claim that David was too small, although even the tallest people today would be dwarfed by Goliath. Instead, Saul said, "You are not able to go against this Philistine to fight with him; for you are a youth, and he a man of war from his youth" ( 1 Samuel 17:33 , emphasis added). Saul tried to dissuade David by appealing to David's youth and Goliath's experience. The Hebrew word translated as "youth" (נַעַר, na'ar) can refer to any age from an infant (Moses in Exodus 2:6) to someone old enough to lead a military coup (Absalom in 2 Samuel 18:32 ). Third, David responded that he "used to keep his father's sheep, and when a lion or a bear came and took a lamb out of the flock, I went out after it and struck it, and delivered the lamb from its mouth; and when it arose against me, I caught it by its beard, and struck and killed it" ( 1 Samuel 17:34–35 ). Now we can understand why David was called a "mighty man of valor" in the previous chapter. He was young, but he was quite strong and brave. This implies that David was roughly the same size as Saul and the armor did fit, but he rejected the offer because he was not accustomed to wearing this particular armor. Although Saul acted foolishly on several occasions, he was not unintelligent. If he was one of the tallest men in the land, why would he offer a small young man his armor, knowing it would never fit and would only reduce his odds of winning the battle? If David was much smaller, Saul could have easily commanded a soldier closer to David's size to lend David his armor. But didn't David refuse the armor because it didn't fit? Not at all! Actually, David said, "I cannot walk with these, for I have not tested them" ( 1 Samuel 17:39 ). This implies that David was roughly the same size as Saul and the armor did fit, but he rejected the offer because he was not accustomed to wearing this particular armor. Finally, after using a sling and a stone to defeat Goliath, David used Goliath's own sword to decapitate the fallen giant ( 1 Samuel 17:51 ). Although the Bible does not tell us exactly how big the sword was, David does state that it was unique ( 1 Samuel 21:9 ). The Bible also reveals that the rest of Goliath's weaponry and armor were quite massive, so there is good reason to believe the sword was large as well. David kept Goliath's armor and would eventually wield the sword himself ( 1 Samuel 17:54; 21:9 ). The fact that David was capable of using the giant's weapon provides another clue that he may have indeed been a mighty man. We see at least five pieces of evidence which can be used to support the notion that David was probably not a small man when he fought Goliath. First, his oldest brother was physically impressive, so David could well have grown to a similar size. Second, David was called "a mighty man of valor, a man of war" ( 1 Samuel 16:18 ) prior to fighting Goliath. Third, David had already killed a bear and lion by hand. Fourth, King Saul, a tall man, offered his armor to David for the battle. Finally, David was capable of wielding Goliath's sword. None of these arguments are watertight, but taken together, a much stronger case can be made for David being a large man than the commonly held view that he was small. The God who gave David the victory over Goliath is the same God who has given us His Word. In His Word, God has told us that He made the world in six normal-length days and destroyed the world with a Flood ( 2 Peter 3:6 ). He has revealed that His Son was born of a virgin ( Matthew 1:23–25 ), died on the Cross for our sins ( Colossians 2:13–14 ), rose from the dead ( 1 Corinthians 15:4 ), will one day return ( Acts 1:11 ), and there will be a day of judgment ( 2 Peter 3:7 ). As David did in his battle with Goliath, we need to have complete confidence in God and His Word, giving Him the glory in everything we do. Previous Article A Manger Misconception? Next Article Why Did God Condemn Jehu? A pastor once suggested to me that chapter 17 may have been chronologically prior to the days in which David played the harp for Saul, but there are problems with this. First and foremost, 1 Samuel 17:15 states, "But David occasionally went and returned from Saul to feed his father's sheep at Bethlehem." So David regularly served Saul before his encounter with Goliath. Also, 1 Samuel 18:2 , which immediately followed the battle with Goliath, states, "Saul took him [David] that day, and would not let him go home to his father's house anymore." 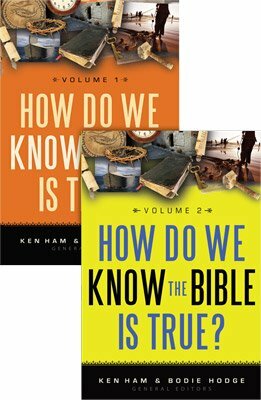 Finally, chapter 16 shows that Saul and David were introduced to each other and that David became his armor bearer ( v. 21 ), whereas chapter 17 shows no such introduction, indicating they knew already knew each other. The standard cubit was about 18 inches, and a span was half of a cubit, so 9 inches. Walter A. Elwell and Philip W. Comfort, editors, Tyndale Bible Dictionary (Wheaton, IL: Tyndale House Publishers, 2001). See J. Daniel Hays, "Reconsidering the Height of Goliath," Journal of the Evangelical Theological Society 48:4 (December 2005), 699–714. For a refutation of some of these claims, see Clyde E. Billington, "Goliath and the Exodus Giants: How Tall Were They?" 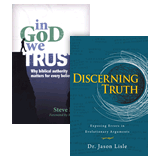 Journal of the Evangelical Theological Society 50:3 (September 2007), 487–508. Billington still reduces these figures, but not as drastically as Hays. This phrase may have just indicated he was much taller than the average person, not necessarily that he was a foot or so taller than every person in the land.